Mozambique’s Azura Quilalea is a wholly uninhabited private island paradise and the perfect place to live out your castaway fantasies. Surrounded by the pristine waters of the Quirimbas Archipelago Marine Sanctuary, it’s the ultimate private luxury hideaway. This year, Azura Retreats is offering two couples or a family of four a 7-night stay in two Kusi villas that boast private oceanfront plunge pools, undercover decks with daybeds and dreamy sea views. 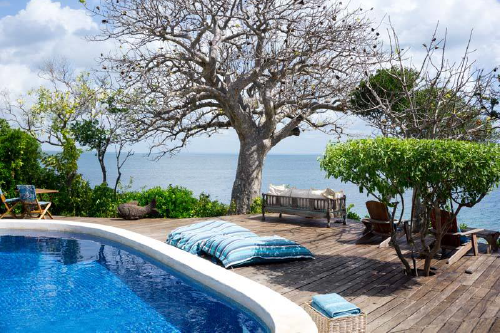 These villas have a prime location on the island and all the modern conveniences to make your stay an exceptional one. The 30-minute Helicopter transfers to and from the island are included and the views of the turquoise waters of the Indian Ocean as you fly are priceless. 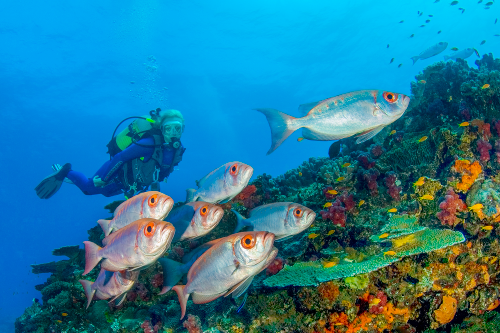 With a spectacular house reef that’s accessible directly from the main beach, Azura Quilalea Private Island has become a bucket-list destination for scuba divers, snorkellers and lovers of marine life. It’s also an important nesting site for turtles, humpback whales breach just offshore from June-October, and dolphins can be spotted in the waters all year round. 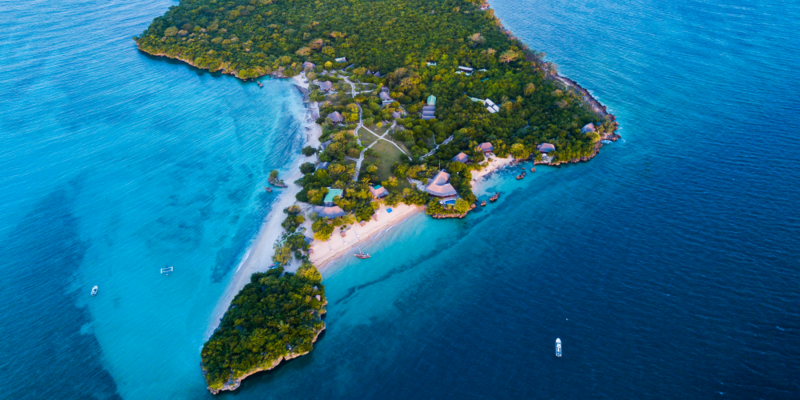 Guided marine walks, world-class deep-sea fishing, kayaking through the mangroves of nearby Sencar Island, paddle boarding and sunset dhow cruises are some of the experiences that guests can partake in, before rounding off the day with an African Spa treatment at the beautiful clifftop spa. Fine-dining under the ancient baobabs or candle-lit on the edge of the water with your toes in the sand and laidback beach picnics ensure that even mealtimes are unforgettable. 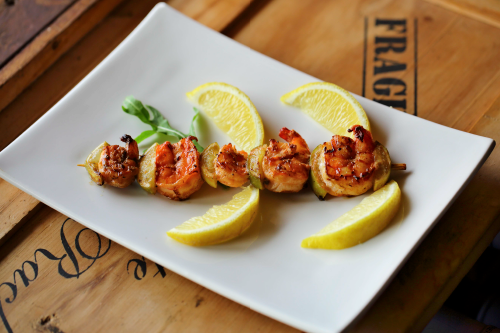 The menu is light and simple and features plenty of fresh fish and seafood, with a local butler-host on hand to take care of your every need. That includes delivering your sunset cocktail to you every evening. Azura Quilalea Private Island offers a retreat from the everyday hustle and bustle. Here you can relax, recharge and realign yourself with the rhythms of nature. Azura Retreats is offering a seven-night stay for four people in two Kusi Villas with plunge pools at Azura Quilalea Private Island. The offer includes helicopter transfers from Pemba to the island with Archipelago Charters. All meals, local beers, spirits and a selection of house wines are included. Spectacular daily dinner set ups including candle-lit beach dinners. A gin tasting experience at the beach bar. One house reef dive per person per stay for licensed divers is included. Mozambican host service, sunset cocktail of the day and use of kayaks and paddle-boards is included in the Lot. Please note that this lot is valid for stays from March 1, 2019 to March 31, 2020 excluding Easter (18-21 April 2019), the month of August and from 22 December 2019 – 7 January 2020. Accommodation is subject to availability, is not transferable and cannot be exchanged for cash. Azura Retreats is offering a seven night stay for four people in two Kusi Villas with plunge pools at Azura Quilalea Private Island. All meals, local beers, spirits and a selection of house wines are included. Spectacular daily dinner set ups including candle-lit beach dinners. A gin tasting experience at the beach bar. One house reef dive per person per stay for licensed divers is included. and paddle-boards is included in the Lot.